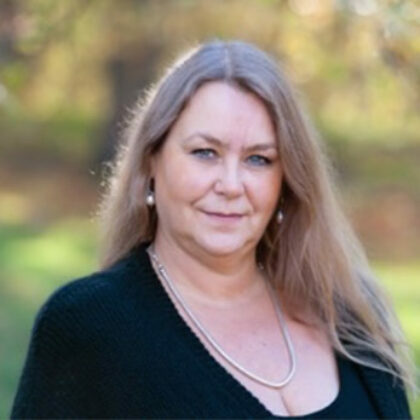 Yvonne Lindqvist (1959) is an Associate Professor at the Institute for Interpretation and Translation Studies, within the Department for Swedish and Multilingualism at the Stockholm University. She is the Vice President of the Institute and responsible for the Master Program in Translation. Yvonne currently supervises three PhD-students within the newly started PhD program in Translation Studies at the Institute (2013). Her research is interdisciplinary and combines descriptive translation Studies, Cultural Studies, Literary Studies and Linguistics. She is particularly interested in in bibliomigrancy patterns concerning the global translation field and the Scandinavian literary translation (sub)field, i.e. the tension between cosmopolitan and vernacular forces as they materialize in translations from Caribbean French, Spanish and English literature in Scandinavia. World literature is hard to conceptualize apart from Translation. Translation facilitates the “worlding” of literature and constitutes the principal means for consecration for writers in the periphery of the “World Republic of Letters”. Bibliomigrancy patterns (Mani 2013), i.e. the ways literatures travel – for instance by means of translation – reveal cosmopolitan and vernacular dynamics in world literatures. The purpose of the project is to map out the necessary conditions for the meeting of two peripheries on the global translation field – Caribbean and Scandinavian literature. Another aim is to examine bibliomigrancy patterns and consecration processes within the Scandinavian literary translation field (Lindqvist 2015; 2016). The project traces the migrancy of 3 translated novels from each of the Caribbean French, Spanish and English language groups to Scandinavia during the period 1990-2010. It tests the validity of The Double Consecration Hypothesis (Lindqvist 2012), according to which this kind of literature needs to be consecrated primarily within respective dominant literary center(s), and secondly within the Anglo-American literary culture before agents in Scandinavia even consider a translation into the Scandinavian languages. The study is carried out within the Sociological “Turn” of Translation studies (Wolf 2006) based on the cultural sociology of Pierre Bourdieu and further developed by Casanova (1999; 2004), Heilbron (2008), Sapiro (2008; 2010). The methodology of he project distinguishes language groups and hierarchies of cosmopolitan literary currency. It is hypothesized that bibliomigrancy patterns will differ depending on if the cosmopolitan literary currency is constructed within a literary mono or pluri-centric culture.